If you love antiques then you will love this fun spindle Christmas tree that Margo made for her home. This gives you a good reason to hit up the next antique fair. 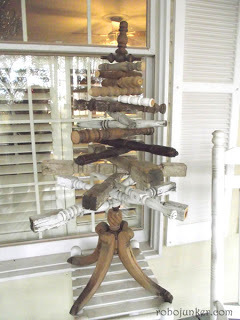 You can check out Margo's antique spindle Christmas tree over at Margo's Junkin' Journal.